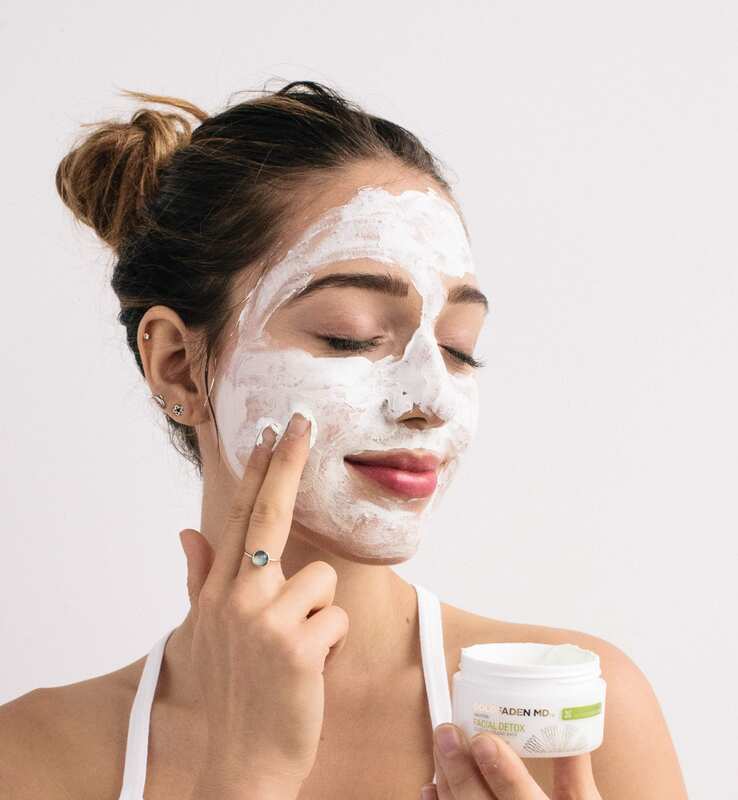 Diving deep into detox requires a holistic effort through the areas of detoxing the mind, body, soul and home to mitigate stress and increase our overall sense of wellbeing. 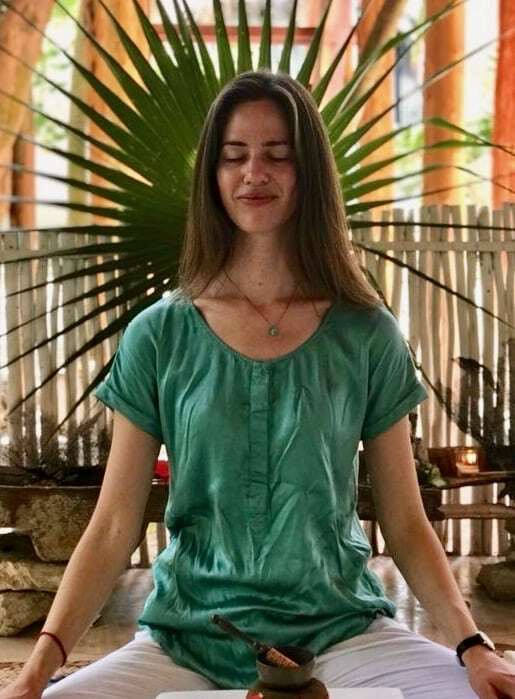 Offering Mindfulness Meditation and Dharma Teachings in Los Angeles, Celeste strongly believes in the power of mindful awareness to heal and reconnect us to our inherent sense of ease and well-being. We had a chance to sit down with her to learn more about meditation and the crucial role it plays in our lives. There are many ways to answer this, depending on your form of meditation practice. One way to frame the practice I teach is that mindfulness or Insight meditation is a formal practice of developing the capacity to stay present for our moment to moment experience, with mindfulness, in the service of Insight and awakening. How do you Detox (tips / rituals)? I find that I can feel a difference when I let go of caffeine and sugar for awhile. My system and energy tends to stabilize. I also find that detox-ing from technology is important. I have a friend who gifted me with a yellow light bulb recently to down-regulate and counteract all of the blue light we take in each day from our devices. I can feel the impact of using that on my nervous system and circadian rhythms. The other way I detox is spending time in nature, and of course, spending time in silent retreat each year is a huge detox for me, when I practice letting go of unhelpful habits on many levels and surrender to the stillness. I’m also learning to incorporate some Ayurvedic self care rituals into my routine to detox. Julie Bernier and I are teaching a retreat together that I’m really excited about. It marries the practices of Ayurveda, and what I teach- Dharma and mindfulness, for others to learn to bring these tools together for a more balanced life. I’m currently reading a number of books! But the most recent book I finished is Happiness by Matthieu Ricard. It’s a wonderful book. I highly recommend it. I’ll defer to Ghandi- “Happiness is when what you think, what you say, and what you do are in harmony.” A day where I’ve lived that way is a perfect day for me. It’s not so much about the conditions of my life that day, but how I’m meeting them. I have to say it’s definitely meditation. Also, many years ago I trained to be a yin yoga teacher, as this has been a part of my practice. I have recently been finding my way back to it. It’s a very simple, still, and slow practice. I really like the living room space, when my front door is open and the light pours in in the afternoon, it’s very sweet. You can do it. (Fill in the blank for whatever IT is). I’m grateful to all the people in my life who gave me permission at critical moments to do what I thought I couldn’t- whether that was because I thought it might be too much, I felt afraid, or I didn’t think I could ask for it- whatever it may be. Those moments have changed the course of my life. Check in with my state of being- body, heart, and mind state, and set an intention. I like to write before bed, when I have the space for it. Sitting meditation before bed is also a great way to move consciously into the sleep state. 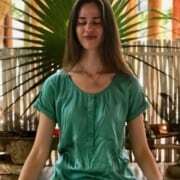 Any tips/advice for people looking to start their own daily meditation practice? This topic of establishing a daily practice or sadhana is actually the theme for our Living Wisdom Retreat in Tulum next year, so I’m glad you asked! I talk about this a lot in my work, and so does Julie (Bernier), so we’re looking forward to offering this retreat to support people in establishing a daily practice. What I would say is make the commitment as a gift to yourself, and not as a burden. Give yourself the gift of your own full attention. Practically speaking, it also helps to choose the same time of day, and same place if you can, to begin to incorporate it into your routine as a habit. Find a practice you enjoy and trust that, and trust the ways you begin to benefit and allow that to deepen your commitment to your practice. Let go of self-judgment and open to whatever arises. Living Wisdom Daylong Retreat: Refining the Gateways of Our Innermost Being with Celeste Young and Julie Bernier. September 29th, 2018. 10 – 4pm. This retreat brings together the two traditions of Insight meditation and Ayurveda practice. Julie and Celeste are also teaching a Living Wisdom Residential Retreat in Tulum Mexico March 14th – 18th, 2019 at Casa Violeta.